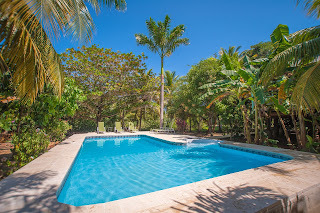 The Tropical Garden Villa is a 3 bedroom, 2 bath home for rent at the Resort at Palmetto Bay. The home sleeps 6, is recently updated, is air conditioned, has a private pool and is only steps from the beach, which is pictured here. The resort has a restaurant, bar, dock, pool and dive shop. 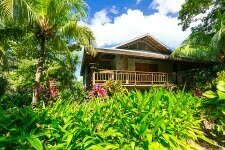 It is away from the cruise ship crowds and noise of the west side but being midway on the north shore of the island, it is convenient to all that Roatan has to offer. 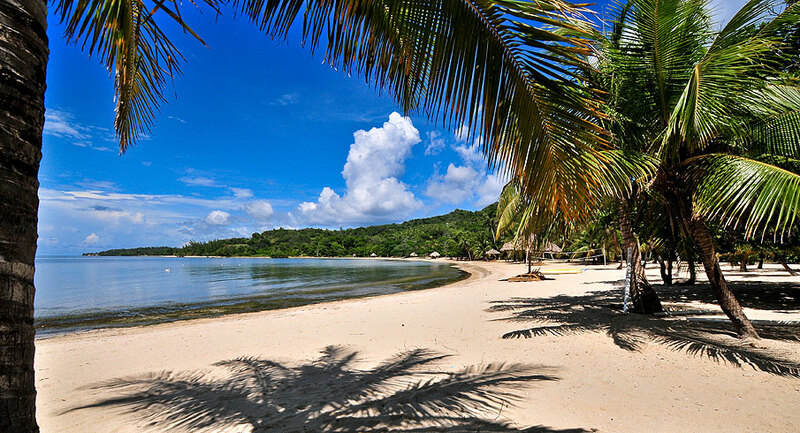 Can't you just picture yourself here? 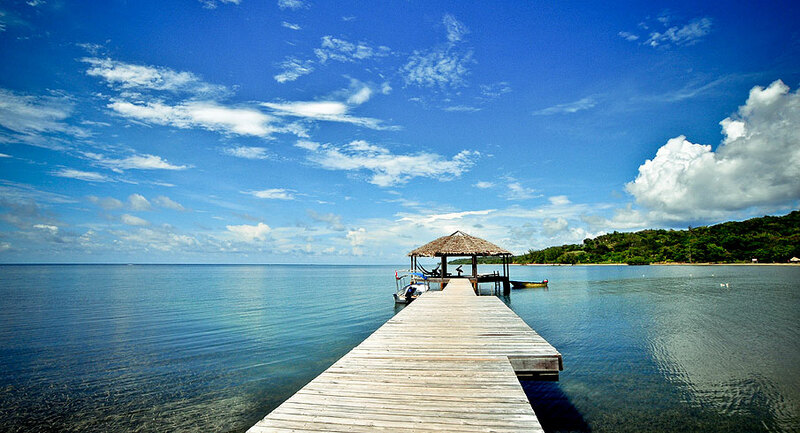 Mahogony Bay, Roatan is the cruise ship port for Carnival cruise ships and its sister ships. The other cruise ships lines dock in Coxen Hole, the main town on Roatan. 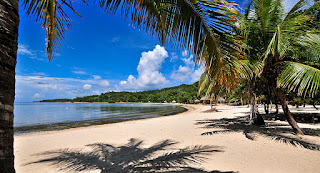 If you are coming on a Carnival cruise, there is so much to do at Mahogony Bay. Read the attached article to find out what great things they offer. Even though it looks like a lot of fun, don't miss out on seeing this beautiful island, tasting the fresh seafood and meeting these warm, friendly people. In case you are not coming on a cruise, when there are ships in, sometimes the guards let you in to shop. There are some great stores and the market with made in Roatan and Honduras handicraft. Check it out. If you fall in love with the island, come back and stay awhile. Rent our 3 bedroom, 2 bath villa with private pool in the gated beach community of Palmetto Bay, only 15 minutes from Mahogony Bay.